If you don’t have a right credit card to pay for day to day expenses such as gas or groceries, you could be missing out on some big rewards. 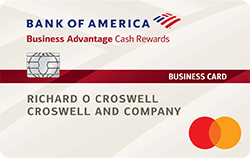 The Bank of America® Cash Rewards credit card is one such card which rewards you on purchases at places such as online shopping, dining, travel, grocery stores, wholesale clubs, gas stations, and more, allowing everyday spenders to earn cash back and essentially saving you money on your daily expenses. The Bank of America® Cash Rewards credit card also gives a $200 sign-up bonus along with no annual fee. Unlike many other rewards cards, there are no rotating categories to keep track of and you can earn even bigger bonuses just for being a Bank of America customer. These features, along with the rewards program, can make this cash rewards card one of the most valuable credit cards to carry. With the Bank of America® Cash Rewards credit card, card members can earn a $200 cash back bonus just for using their card. All you have to do to get the bonus is spend $1,000 with your card in the first 90 days after opening your account. Earning the $200 bonus is like getting a 20% discount on your first $1,000 in purchases and it’s an easy way to put more cash back in your pocket. On top of the new member bonus, you’ll earn cash back rewards everywhere you go. The card pays you 3% cash back in the category of your choice: gas, online shopping, dining, travel, drug stores, or home improvement /furnishings, and 2% back on purchases at grocery stores and wholesale clubs. There is a cap of $2,500 in combined choice category/grocery store/wholesale club purchases per quarter. After that, those purchases earn 1% cash back. For all other purchases, you’ll automatically earn 1 percent cash back with no cap on how much cash back you can earn. You can request your cash back as a statement credit, check, or electronic deposit into a Bank of America® or Merrill Lynch Cash Management® Account. The best part is, your rewards never expire so you can use them whenever you like. If you are a Bank of America Preferred Rewards customer, your rewards bonus can be between 25% and 75% of your base cash rewards. There are 3 tiers in the Preferred Rewards program: Gold, Platinum and Platinum Honors. Your tier is based on your qualifying combined balances in your Bank of America® banking and/or Merrill Edge® and Merrill Lynch® investment accounts. Depending on your eligible tier of Preferred Rewards, you can get a 25%, 50% to 75% rewards bonus on the baseline rewards. The following chart shows the qualification requirement of minimum balance and rewards for Gold, Platinum, Platinum Honors tiers of Preferred Rewards. 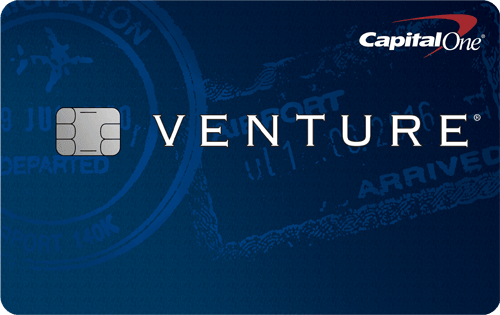 The Bank of America® Cash Rewards credit card carries no annual fee, so it won’t cost you anything to earn cash back. As an added perk, new members pay zero interest on purchases and qualified balance transfers for an extended period of 12 billing cycles, which is great if you plan on making a large purchase or transferring a high interest balance to the card. After the intro period ends, the go-to rate of 16.24% - 26.24% Variable applies. With no annual fee and an easy-to-understand rewards structure, the Bank of America® Cash Rewards credit card is a great choice if you want to get more cash back on the things you buy every day. If you’re already a Bank of America® customer, you won’t want to miss out on the additional bonuses the card offers. If you are interested in the Bank of America® Cash Rewards credit card, you may also consider a few other cash back credit cards with similar benefits.